Dental anxiety is a very common problem. According to the ADA, at least 15% of all American adults suffer from some kind of dental anxiety. In minor cases, this may mean you simply do not look forward to a dental visit. However, more extreme cases of dental anxiety can cause patients to skip regular checkups and appointments. In turn, this can lead to a wide variety of serious dental issues, such as tooth decay, infection, and periodontal disease. At Polaris Dental Care, Dr. Irfan Khan can help patients who have dental anxiety. We specialize in sedation dentistry in London and Springfield, as well as in Grandview. You can trust us to take great care of you, even if you are afraid of the dentist. What Counts As Dental Anxiety? While there is no clear-cut definition of dental anxiety, if going to the dentist makes you feel nervous or scared, you may suffer from some form of dental anxiety. Patients with mild to moderate dental anxiety may be able to go to the dentist quite easily, even though they don’t enjoy it. However, people who have high levels of dental anxiety may start to feel anxious and have physical reactions, such as sweating and panic, when the mere idea of going to the dentist is mentioned. All patients with dental anxiety can be treated with sedation. Depending on the level of anxiety, different types of sedation may be recommended. Any patient can be sedated for a dental procedure at our office. However, not everyone needs sedation. In general, we recommend sedation if you fit any of the following criteria. You have a very strong gag reflex – A strong gag reflex can make even a standard teeth cleaning quite difficult. Sedation is helpful for reducing levels of consciousness and avoiding the gag reflex. Going to the dentist makes you uncomfortable – If you have moderate-to-severe dental anxiety, sedation dentistry is right for you. Oral sedation can help you feel more comfortable and safe while having routine dental work performed. You’re having multiple procedures performed – Many patients who are having multiple procedures completed at once, such as multiple fillings, opt for sedation, due to the longer operating times required. You have a very low pain threshold – If you have a very low threshold for pain and discomfort, oral sedation or inhaled sedation can help you avoid feeling uncomfortable and anxious. Come To Polaris Dental Care Now – And Get The Treatment You Need! Don’t let your dental anxiety prevent you from going to the dentist. Dr. Irfan Khan is an experienced sedation dentist and our team will always do our best to make sure you are relaxed and comfortable. 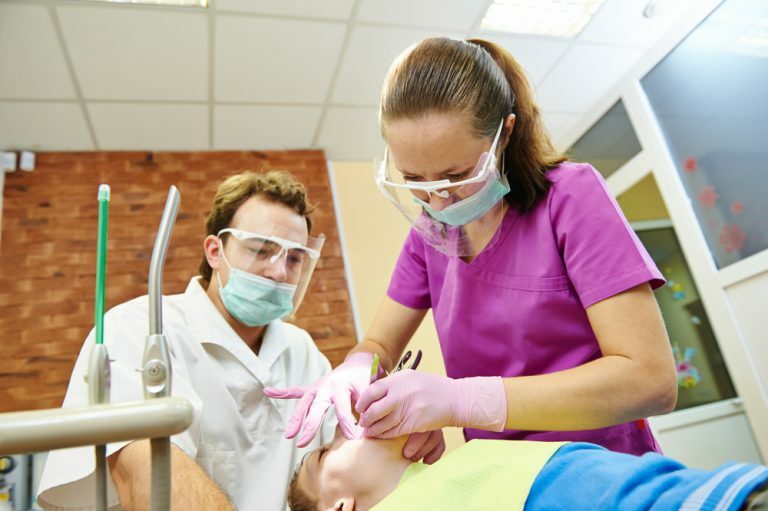 In addition, if you have a very serious case of dental anxiety, the team at Polaris Dental Care can even bring in an anesthesiologist, ensuring that you don’t have to experience any part of your dental procedure. We are completely dedicated to your comfort and your oral health. Contact us today to see which sedation option and which location is right for you!